A great vista with your Vista! 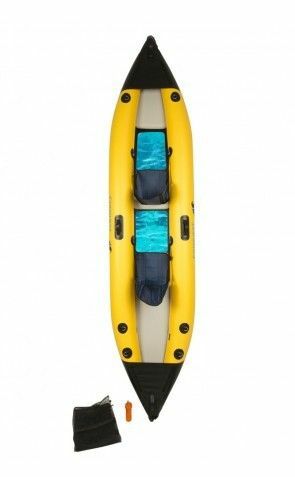 The Vista Inflatable Kayak from Conquest Adventure Gear has 2 clear bottom viewing panels to enjoy the world below you. Weighing only 42 pounds, this portable kayak will transport you and a friend comfortably in its stable 18″ wide cockpit. Built to last, it’s constructed out of rugged material that is puncture and tear resistant, and the four points of inflation allow quick and easy inflation. Enjoy the water from above and below on the Vista!